Electric charge generated by incident light are increased by avalanche multiplication phenomenon inside the photoelectric conversion film. 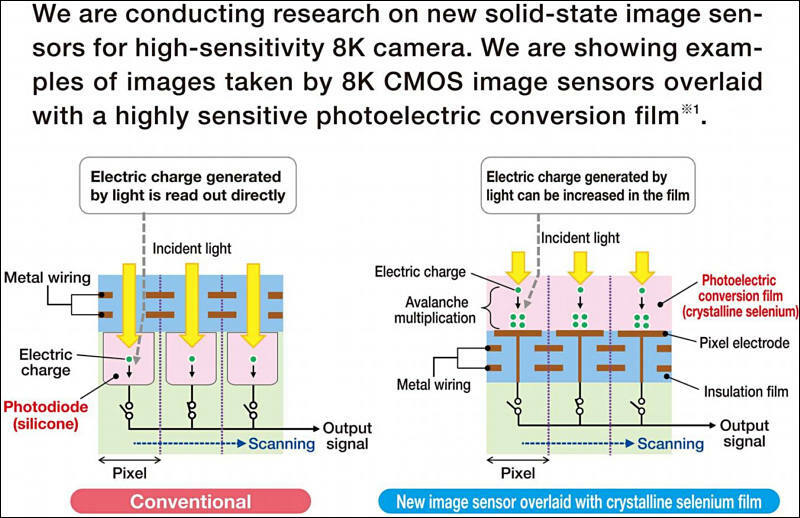 The film can be overlaid on a CMOS circuit with a low breakdown voltage because avalanche multiplication occurs at low voltage in crystalline selenium, which can absorb a sufficient amount of light even when thin. Any plans to use them for consumer cameras?